I've written before about the independent consideration rule for "afterthought" covenants - that is, those non-competes that are entered into after the start of employment. States vary on their rules relative to consideration, with some demanding valuable consideration (such as a bonus) beyond mere continuation of employment. 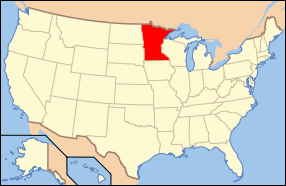 Minnesota is one of those states that seems to be fairly exacting when assessing the adequacy of consideration, noting the inherent lack of bargaining power that employees have when presented with such covenants. I wrote last month about an extension of this independent consideration rule that illustrates how careful employers and their attorneys must be. In an unpublished opinion, the Court of Appeals of Minnesota held that the independent consideration rule does not apply, however, outside the employment relationship and specifically not to independent contractors. In Schmit Towing v. Frovik, the defendant operated a business towing vehicles and received work from the plaintiff pursuant to a subcontractor agreement. The first agreement contained no non-compete clause. But the second contract, which took effect the same day the first one ended, prohibited the defendant from providing towing services to a competitor. The Court of Appeals reversed the grant of summary judgment and refused to extend the independent consideration rule outside the employee-employer relationship, holding that to do so would be an extension of the law - a matter reserved only for the Supreme Court and the legislature. The court did not address any other issue surrounding the covenant.